Concern about humanity's impact on the planet has never been greater, but what are the drivers of environmental change? This wide-ranging introductory textbook outlines the competing explanations of why environmental problems occur and examines the different political approaches taken to address them. Adopting a case study approach, Hayley Stevenson enables students to gain a detailed understanding of how theories and concepts are applied in practice. Diverse perspectives on a variety of contemporary environmental challenges, from climate change to hazardous waste, as well as various responses, from multilateral diplomacy to consumer-focused campaigns, provide students with an in-depth understanding of the merits and limitations of different forms of political action. Refined on the basis of classroom feedback, features include textboxes, key points, a glossary of key terms, questions, further reading suggestions and supplementary online resources. 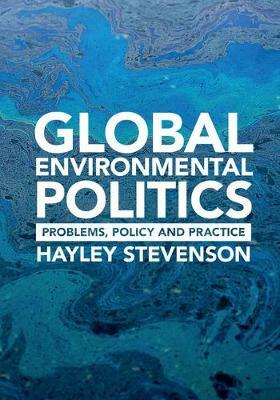 This lively book is an essential resource for advanced undergraduate and postgraduate courses on global environmental politics and environmental policy.